The RP Photonics Buyer's Guide contains 58 suppliers for diode-pumped lasers. Resonator design is a crucial issue for the development of a diode-pumped laser. The software RP Resonator is ideally suited for that. For power calculations, you can use the RP Fiber Power software – also for bulk lasers! This article treats the latter category, for which the term all-solid-state lasers is also used. Most diode-pumped lasers are solid-state lasers (DPSSL = DPSS lasers = diode-pumped solid-state lasers). These are either bulk lasers, using some kind of laser crystal or bulk piece of glass, or fiber lasers (although the term DPSSL is less common for fiber lasers). Both categories span a range of output powers from a few milliwatts to multiple kilowatts (→ high-power lasers). Less common are optically pumped semiconductor lasers (particularly VECSELs = vertical external cavity surface-emitting lasers), and there are also some relatively exotic types of diode-pumped gas lasers, e.g. alkali vapor lasers. Low-power lasers (up to roughly 200 mW) can be pumped with small edge-emitting laser diodes. These exhibit a diffraction-limited beam quality and make it fairly easy to achieve the same for the solid-state laser. Broad area laser diodes typically generate several watts and are suitable for pumping solid-state lasers with output powers up to a few watts. Their beam quality is substantially asymmetric, but normally still sufficient for achieving a diffraction-limited laser output without using complicated optics. High-power diode bars emit tens of watts (or even > 100 W), allowing for higher output powers, particularly when several bars are combined. Their beam quality is strongly asymmetric and fairly poor, so that their brightness (radiance) is much lower than that of lower-power diodes. Various types of beam shapers are used to symmetrize the beam quality. This makes it easier either to pump a bulk laser or to couple the light into a fiber. For the highest powers, diode stacks are often used. These have a still worse beam quality and lower brightness, but can provide multiple kilowatts. In most cases, the pump diodes are operated continuously. This applies to all continuous-wave and mode-locked lasers, and also to many Q-switched lasers. However, quasi-continuous-wave operation with higher peak power for limited time intervals (e.g. 100 μs) is sometimes used for Q-switched lasers with a high pulse energy and low pulse repetition rate. Depending on the type of laser diode, different kinds of pump optics are used. 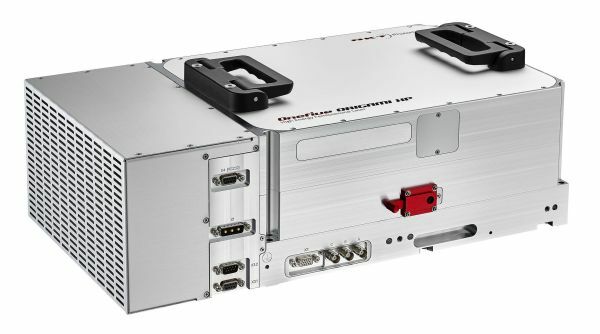 It is also possible to use fiber-coupled diode lasers, which make it possible to separate the actual laser head from another package containing the pump diodes, so that the laser head can become very compact. A high electrical-to-optical efficiency of the pump source (of the order of 50%) leads to a high overall power efficiency (→ wall-plug efficiency) of the laser. As a consequence, small power supplies are needed, and both the electricity consumption and the cooling demands are drastically reduced, compared with those for lamp-pumped lasers. The narrow optical bandwidth of diode lasers makes it possible to pump directly certain transitions of laser-active ions without losing power in other spectral regions. It thus also contributes to a high efficiency. Although the beam quality of high-power diode lasers is not perfect, it often allows for end pumping of lasers with very good overlap of laser mode and pump region, leading to high beam quality and power efficiency. In the domain of slab lasers, it allows edge pumping instead of face pumping, which brings important advantages. Diode-pumped low-power lasers can be pumped with diffraction-limited laser diodes. This allows the construction of very low-power lasers with reasonable power efficiency, i.e., with a very small electrical pump power, as is important for battery-powered devices. The lifetime of laser diodes is long compared with that of discharge lamps: typically many thousands of hours, often even well above 10 000 hours. However, various factors can lead to drastically reduced lifetimes. The exchange of laser diodes is also much more costly than that of discharge lamps. The compactness of the pump source, the power supply and the cooling arrangement makes the whole laser system much smaller and easier to use. Diode pumping makes it possible to use a very wide range of solid-state gain media for different wavelength regions, including e.g. upconversion lasers. For many solid-state gain media, the lower brightness of discharge lamps would not be sufficient. The low intensity noise of laser diodes leads to low noise of the diode-pumped laser. 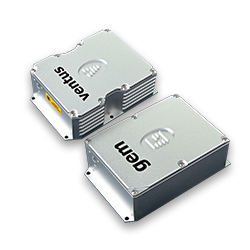 There are miniature solid-state lasers with excellent efficiency, beam quality, spectral purity, and stability. Some of those may even be battery-powered. Diode-pumped high-power solid-state lasers can deliver kilowatt output powers with fairly high beam quality. This applies particularly to thin-disk lasers, but also to high-power fiber lasers and amplifiers. Diode pumping is also essential for a large variety of mode-locked lasers, generating e.g. up to 80 W of average output power in sub-picosecond pulses, or picosecond pulses for telecom applications with a pulse repetition rate up to 50 GHz. In the early years of diode pumping, the output powers achievable were very limited – smaller than those of lamp-pumped lasers. In the meantime, however, high-power diode bars and diode stacks have become very powerful, and the highest output powers are now usually achieved with diode pumping. The main disadvantage of diode pumping (as compared with lamp pumping) is the significantly higher cost per watt of pump power. This is severe for high powers. For this reason, lamp pumping is still used in cases where high powers are needed, particularly when the power is used only for short times. 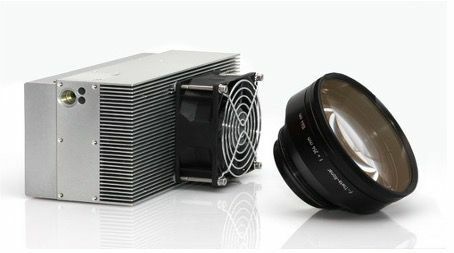 For example, lamp-pumped Q-switched Nd:YAG lasers are still widely used for laser marking, and will not soon be replaced with diode-pumped lasers. Laser diodes are electrically less robust than discharge lamps. They may e.g. be quickly destroyed by excessive drive currents, or by electrostatic discharges. In conjunction with properly designed electronics, however, this should not happen. Problems can also arise from optical feedback. 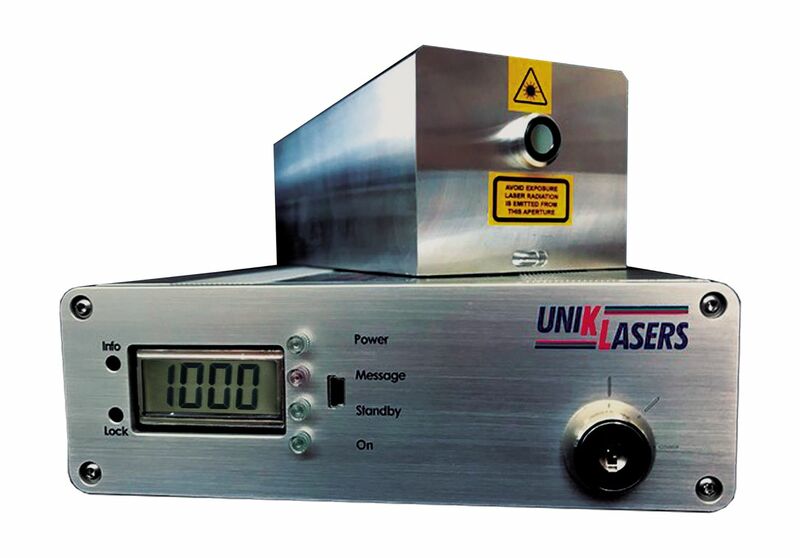 Diode-pumped solid-state lasers have a very wide range of applications. Indeed, they are used in all of the areas mentioned in the article on laser applications. NKT Photonics offers a wide range of diode-pumped, industrial ultrafast fiber lasers as well as scientific ultrafast fiber lasers. All lasers are maintenance-free and packaged in a dust-sealed enclosure allowing for operation in the harshest environments. The combination of advanced fiber laser technology and nonlinear frequency conversion results in a broad range of wavelengths, from UV to infrared, and pulse durations from femtosecond to nanosecond.